National Sports Center selects Schwan’s Cares™ as its official fundraising program. BLAINE, Minn. (October 23, 2013) – The National Sports Center (NSC) in Blaine, Minnesota, a 600-acre amateur sports campus that operates some of the largest youth sports tournaments in the world, has selected Schwan’s Cares™ as its official fundraising program. “Over the past 15 years, we have had a great working relationship with the National Sports Center, partnering on popular events like the Schwan’s USA CUP youth soccer tournament. We’re excited for the opportunity to deepen our relationship even further by offering a simple fundraising solution to those competing in NSC events,” said Mike Gerend, president of Schwan’s Home Service, Inc. The NSC boasts four-million visitors annually, and soccer and hockey are the two largest sports at the facility. 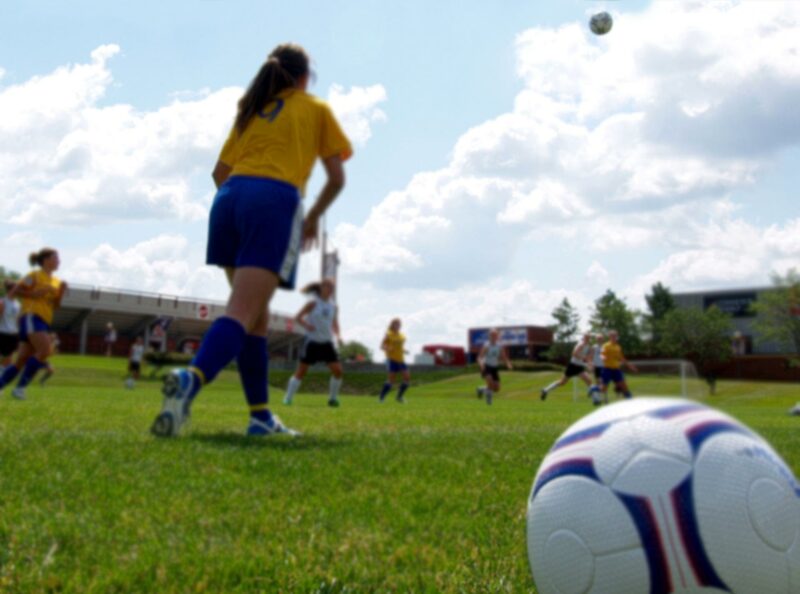 Schwan’s USA CUP, held annually in July, is the largest youth soccer tournament in the Western Hemisphere, with 1,015 teams attending in 2013, representing 17 different countries and 17 U.S. states. With Schwan’s Cares™, children or groups no longer have to handle cash, sell marked-up, generic products in parking lots or storefronts, or deliver or arrange for the pickup of products. In about 20 minutes, charitable groups can use Schwan’s Cares™ to create a fundraising Web page and run their own campaigns entirely online. Supporters of the group’s fundraising Web page can then shop online from more than 350 of Schwan’s® quality, home-style foods and help the fundraising group meet its goals with any online purchases. Fundraising groups will receive 20 to 40 percent of the proceeds from their campaigns’ online sales, plus earn 5 percent on additional purchases from their supporters for the rest of the year. Teams can visit www.schwans-cares.com and follow the instructions to create a unique campaign Web page that shares fundraising goals and allows them to tell a compelling story about their favorite organization. They also can post photos and videos to illustrate their causes. Campaign supporters will pay the same everyday prices as all Schwan’s Home Service customers, and the company’s friendly and reliable team members will deliver the high-quality food orders directly to campaign supporters’ homes. This means that fundraising groups do not have to worry about getting Schwan’s® orders delivered — Schwan’s Home Service does it for them. The Schwan Food Company has been a long-time partner of the NSC. In addition to sponsoring the NSC’s flagship event, Schwan’s USA CUP, Schwan sponsors the Schwan Cup hockey tournament in December and is the title sponsor of the Schwan Super Rink and Schwan Center meeting and events facility on the campus. The National Sports Center (NSC) is a 600-acre multi-sport facility located in Blaine, Minnesota. The campus includes the Schwan Super Rink, an eight-sheet ice arena that is the world’s largest ice facility, a 8,500-seat soccer stadium, the Schwan Center meeting and convention building, a multi-faceted family golf center, the National Youth Golf Center, which features the 18-hole Victory Links course, an indoor Sports Hall, 150 bed residence hall and 52 soccer fields. The facility hosts nearly 300 events annually, and welcomes 4 million visitors annually, making it the most-visited sports facility in Minnesota. The NSC generates over $37 million in annual out-of-state economic impact each year. You can learn more at www.nscsports.org/. About Schwan's Home Service, Inc.
A subsidiary of The Schwan Food Company, Schwan’s Home Service, Inc. markets and distributes more than 350 top-quality, home-style foods through home-delivery and mail-order services. Popular product lines include the company’s signature ice cream, pizza, choice meats, seafood, ethnic specialties, breakfast items and desserts. Based in Minnesota, Schwan’s Home Service, Inc. has more than 400 local sales and distribution centers across the continental United States. Visit Schwans.com or call 1-888-SCHWANS (1-888-724-9267). ©2019 OLD - National Sports Center / SportsEngine. All Rights Reserved.